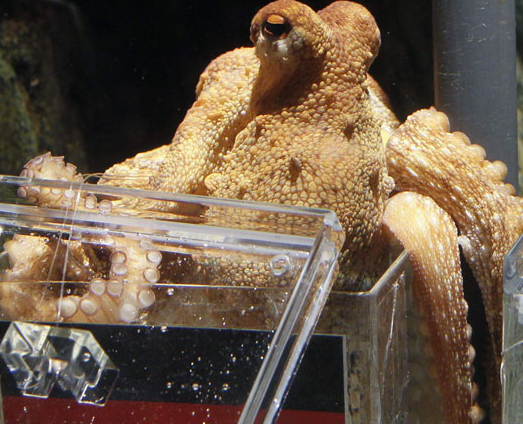 Germany - Paul the Psychic Octopus' first World Cup appearance I had witnessed was on EuroNews. It was on the 25th of June 2010, a 1 minute report, told the world that the best World Cup fortune teller was, so far, an octopus, in the Sea Life Aquarium of Ovberhausen, Germany. Paul, the Octopus had apparently already predicted 4 German games correctly, (including Germany's loss to Serbia!) and was predicting Germany's win over England. Google News history shows an AOL article on Paul the Octopus dating back to the 22nd of June, predicting Ghana's defeat to Germany, saying "If Paul gets any better at this, he could have an incredible career as a telephone psychic -- able to handle eight lines at once." ...So what's in it for marketeers? Lessons on how to effectively benefit from the World Cup hype! Thanks to the World Cup's popularity, the free (and international) publicity Paul got to the Sea Life Aquarium is unmatched. Want to bet how much additional visits they got thanks to Paul and his World Cup induced fame? Twitter: What If God Was One of Us? Twilight - Eclipse: Is Twilight Harmful to Teens?